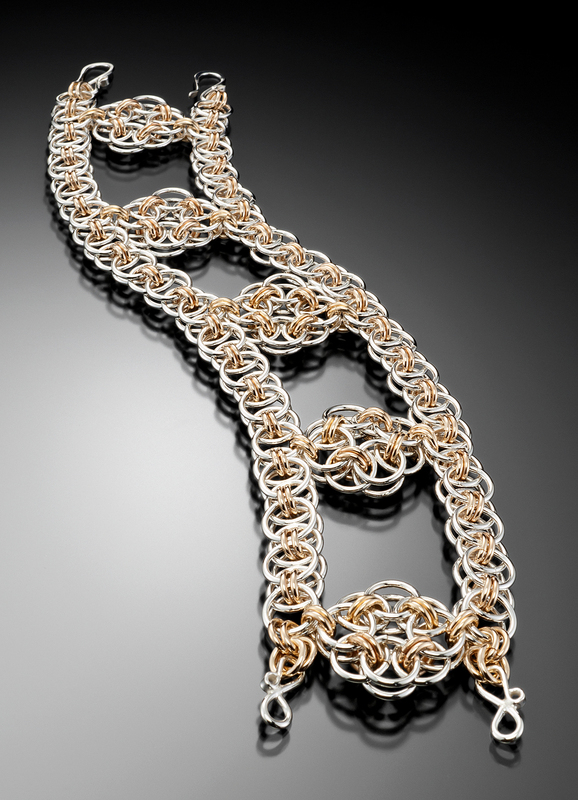 We handcraft all our jewelry using various chainmaile, knot, knit and crochet patterns. 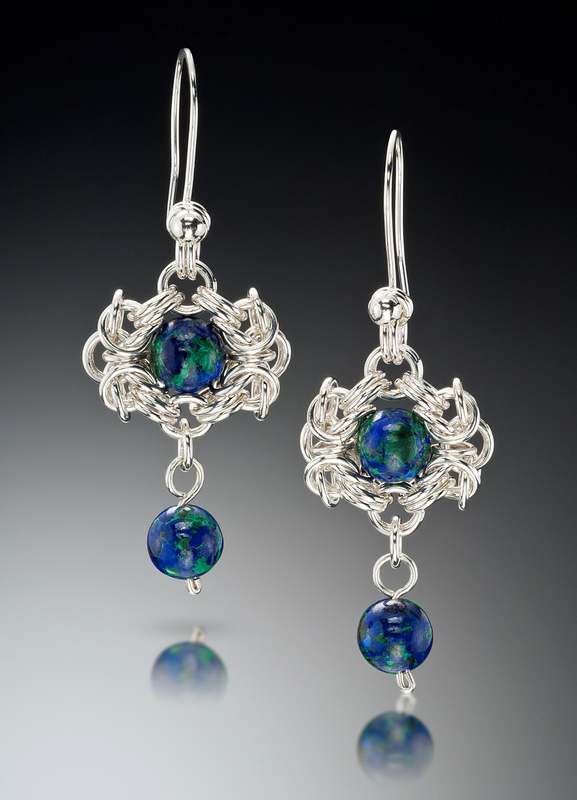 Our pieces are created out of sterling silver, fine silver and 14K gold filled wire. 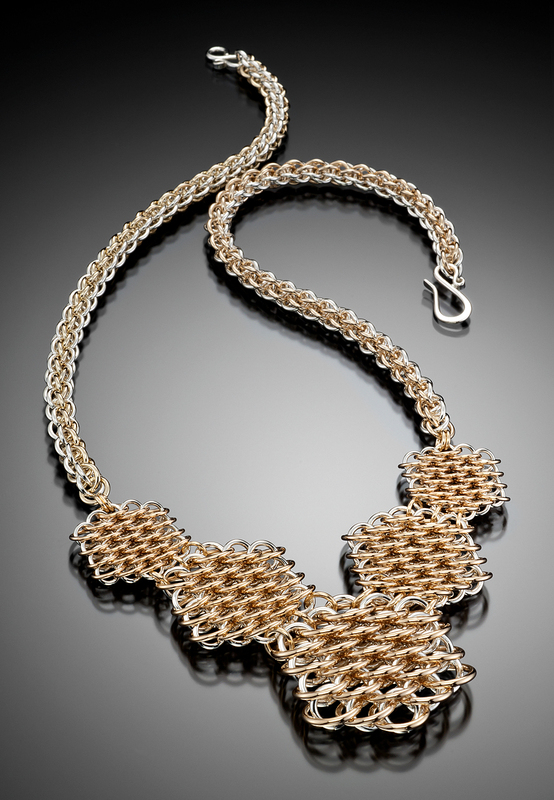 Please click on our Gallery link to see more of our pieces.